FT. WALTON BEACH, FLA — Northmont’s varsity baseball team went 1-3 overall on its annual spring break “business trip” to Ft. Walton Beach, Florida this past week. 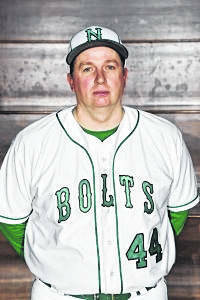 The Thunderbolts lost its first game 8-5 despite getting more hits than Sylvania Northview. Northmont tallied five runs in the seventh inning led by Eric Corbett and Keaton Kesling, who both drove in runs. Sylvania scored five runs in the sixth inning. Hartrett, Street, and Winner all contributed in Northview’s big inning with RBIs. Adkins took the win for Sylvania. He allowed two hits and zero runs over four and a third innings, striking out three. Crooks and A. Brady entered the game out of the bullpen and helped to close out the game in relief. Jason Kohr took the loss for Northmont. He surrendered three runs on four hits over four and a third innings, striking out eight. Northmont tallied one home run on the day by Kesling in the seventh inning. Corbett went 2 for 2 at the plate to lead Northmont in hits. Street led Sylvania with two hits in three at bats. On Tuesday the Thunderbolts lost 14-4 to Navarre. Northmont scored one run in the first inning off a single by Justin Combs. In the bottom of the first inning, Navarre tied things up at one when Waschenko singled on a 1-2 count, scoring one run. Navarre took the lead for good with three runs in the third inning. In the third Lovell doubled on the first pitch off the at bat, scoring two runs and Babcock singled on a 0-1 count, scoring one run. Navarre scored seven runs in the fifth inning. The big inning for Navarre came thanks to an error on a ball put in play by Finley and Waschenko, doubles by Ackman and Anderson, and a walk. Hellard led Navarre to victory on the pitcher’s mound. He allowed seven hits and four runs over four and two-thirds innings, striking out 11. Winston threw one-third of an inning in relief out of the bullpen. Jarren Slusher took the loss for Northmont. He allowed eight hits and six runs over three innings, striking out two and walking one. Northmont generated seven hits in the game. Noah McGilton and Combs both had two hits. Navarre totaled 14 hits in the game. Anderson, Ackman, Babcock, Andre, and England all managed multiple hits for Navarre. Anderson went 3-for-4 at the plate to lead the Raiders. On Wednesday the Thunderbolts suffered a 5-1 loss to Hudson. Hudson scored on a single by B. Palmer, a fielder’s choice by Lightner, and a single by Farley in the second inning. Tallman was the winning pitcher for Hudson. He lasted five innings, allowing six hits and one run while striking out four and walking one. Brenden Siehl took the loss for Northmont. He lasted four innings, allowing six hits and five runs while striking out one and walking one. Andrew White and Jacob Cox had two hits to lead Northmont. The Thunderbolts defeated the Reavis Rams 4-1 on Thursday. Keaton Kesling went 1 for 2 with a home run for two RBI. Ed Haraway drew a walk and had one RBI. Noah McGilton went 1 for 4 with one run. Jarren Slusher went 1 for 2 with one run. Jacob Cox went 2 for 4 with a double, Justin Combs 1 for 3 and Brendan Siehl went 1 for 1. Jacob Cox pitched 5 innings, scattered three hits with five walks and seven strike outs. Andrew White pitched 2 innings and gave up one hit and had two strike outs. Friday the Thunderbolts suffered a 9-5 loss to the Marshall Owls. Marshall was led by Isaac Yung who went 2 for 4 with a home run and three RBI. Ben Haug went 2 for 3 with a double, two RBI and one run. Spencer Starr went 2 for 3 with one run. Coy Smith went 1 for 3 with a double and one RBI. Duffin Makings went 1 for 4 with one run. Haug pitched 5 and 1/3 innings, gave up five hits, with only one earned run out of five scored, walked four and struck out two. Yung pitched 1 and 2/3 of an inning, gave up one hit, one walk and struck out two. Northmont will host Beavercreek at 5 p.m. on Friday and Butler at noon on Saturday.